Alabama Quarter Horses (ALQHA) is an affiliate of the American Quarter Horse Association in Amarillo, Texas. The AQHA is the largest breed registry in the world. ALQHA was chartered in January 1956, and has been a working, viable affiliate every year. The mission of ALQHA is to promote the American Quarter Horse, educate and assist members and associates in relation to the breeding, improving and promoting of the American Quarter Horse. Also, to generate growth of ALQHA and AQHA membership via the marketing promotion, advertising and publicity of the American Quarter Horse. 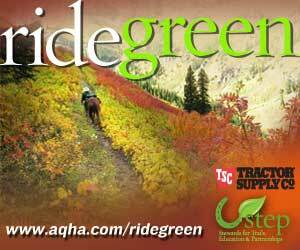 What does ALQHA do for the horse. Aside from the business services provided through links to AQHA, ALQHA is actively involved in Legislative support for horses of all breeds. ALQHA also provides education, and educational links to members and non-members. Are you experiencing issues with leveling, world show qualifying points or horse or customer volume records? AQHA is working to resolve, as well as resources to help you through this new transition. We are committed to resolving the problems you are encountering and appreciate your patience as we move forward with modernizing your Association.